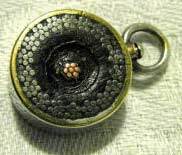 Immediately after the landing of the 1858 cable, Tiffany & Co. were selling samples; other companies too were offering souvenirs such as watch fobs and charms. 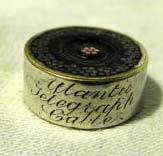 take pleasure in informing their friends and the public that they have secured a sufficient quantity of the Atlantic Cable to supply all demands, and in order that every one may receive a souvenir of this - the most remarkable event of the age - and so that it shall not be cumbersome, we have mounted it up to be worn as charms or watch keys. 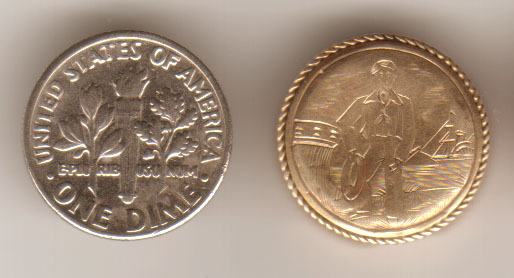 In Brass, for 15 cents each. In Silver, for 50 cents each. 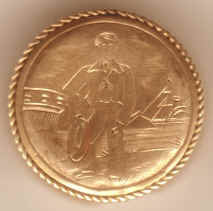 In Gold, for from 1.50 to 5.00. We suppose the reputation of our House is all the guarantee needed, when we assert that this Cable is the veritable one from on board the steamer NIAGARA. In addition to that, however, we have the documents to place the genuineness beyond question. Advertisements for cable souvenirs proliferated in August and September 1858, and just as quickly disappeared. 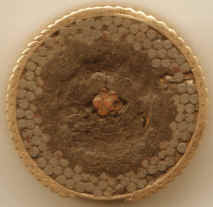 Just 11/16" in diameter, this watch fob or charm is made from a 1/8" slice of the 1858 cable and is shown with a dime for size comparison. 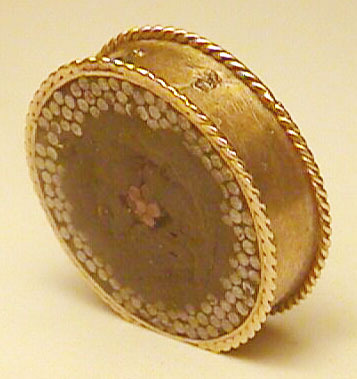 The cable section is mounted in gold with an applied cable edge on top and bottom. 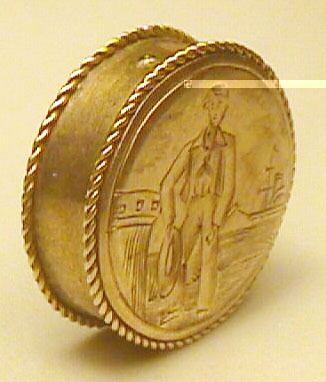 The nautical scene is not specifically related to the 1858 expedition. Interestingly, the ship bears a resemblance to the Great Eastern, which would not be used for cable laying until 1865. 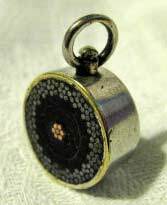 This 1858 Atlantic cable section is mounted on a decorative fabric backing for use as a watch fob. The fittings are brass; the top clasp is marked "PMCO". 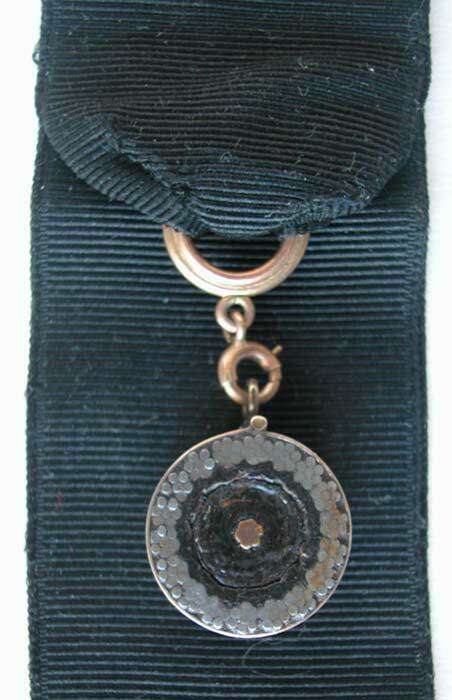 The photographs of this 1858 cable watch fob, engraved "Atlantic Telegraph Cable", were contributed by site visitor Tony Robson. 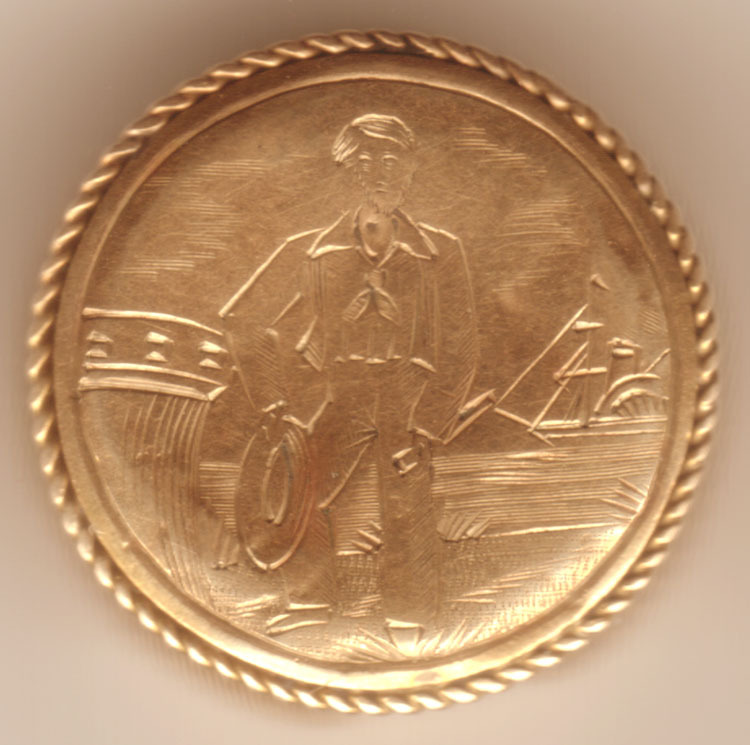 Tony believes that his grandfather, a merchant seaman in World War I and after, may have picked it up on his travels, or possibly inherited it from his father. 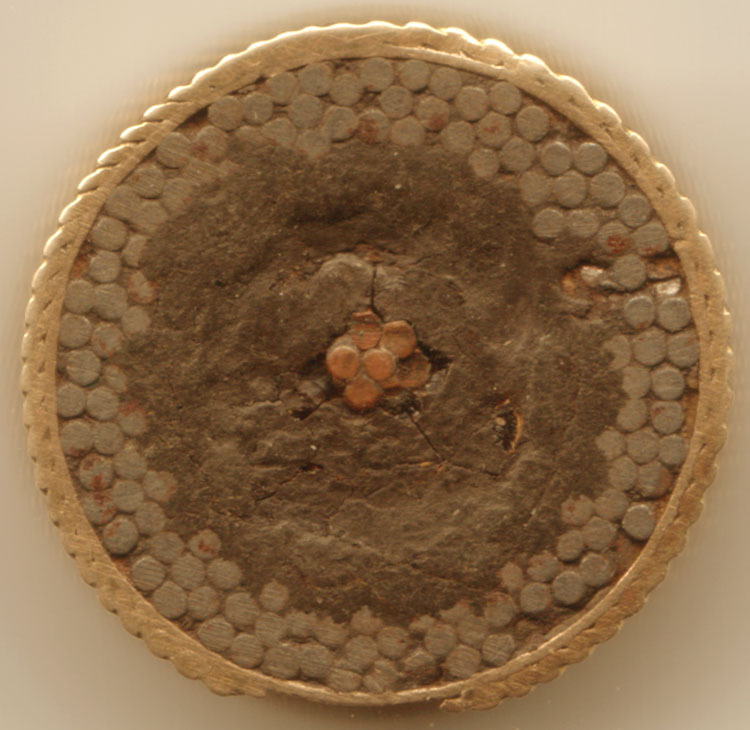 Tony notes "The brass outer ring appears to have been silver plated, although the plating is worn off on both sides, and the attachment ring has a slight groove worn into it." See also this page of later 19th century watch fobs, charms, etc.